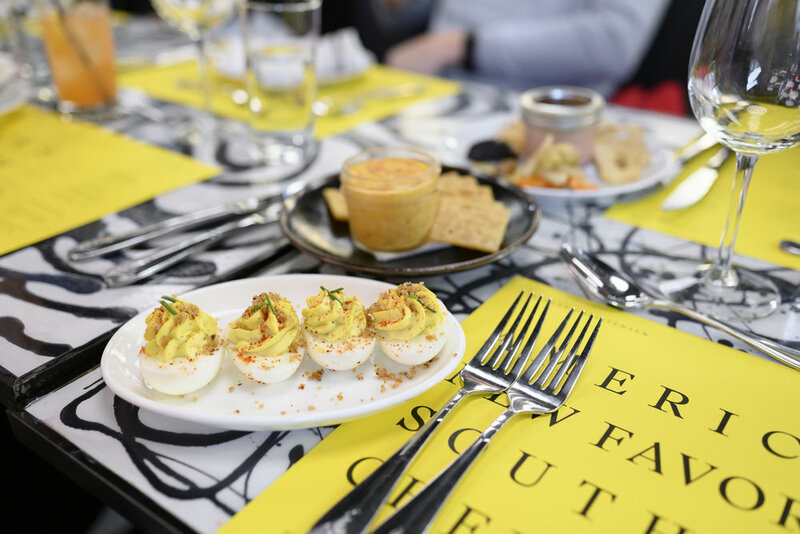 Dinner on October 20, 2018 in New York City at the South Street Seaport Food Lab with Ashley Christensen, presented by Chase Sapphire. North Carolina’s Chef Ashley Christensen was in New York for the past two weeks as as guest chef, cooking for the Seaport Food Lab series, presented by Chase Sapphire. Chef Christensen has earned national praise and top recognition from the James Beard Foundation, Food & Wine, Eater, and The New York Times. The highlight of the dinner was undoubtedly Chef Christensen’s creamy, three-cheese “Macaroni Au Gratin” taken from her menu at Poole’s Diner in Raleigh. This was a comped meal, sponsored by Chase Sapphire.